Centennial Weekend for Congregation Beth El in Lexington, Miss. Congregation Beth El, Lexington, Centennial Weekend. Rabbi David Ellinson, speaker. Beth Israel, Jackson. Service, 6:15 p.m. Dinner follows at University Club. Montgomery Scholar in Residence Weekend. Dennis Shulman, speaker. “When Joseph Answered Cain.” Temple Beth Or. 7:30 p.m. Presentation on Interfaith Mission to Croatia, Bosnia and Serbia. Rabbi Jonathan Miller, Rev. Stephen Jones and Rev. Ed Hurley, speakers. Temple Emanu-El, Birmingham. 5:45 p.m.
Congregation Beth El, Lexington, Centennial Weekend. Rabbi David Ellinson, speaker. Montgomery Scholar in Residence Weekend. Dennis Shulman, speaker. “Genesis as Poetry.”Agudath Israel-Etz Ahayem. 11:30 p.m. luncheon. “The Meaning of Life: Answers from the Hebrew Bible,” 4:30 p.m.
“The Fab Four Sabras” Israeli Shlichim in Birmingham, Montgomery, Mobile and Pensacola. 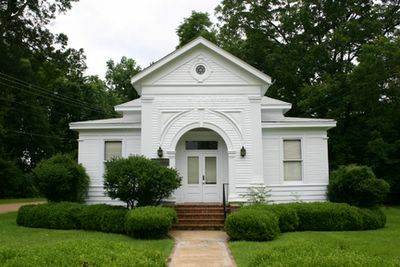 Temple Beth El, Pensacola. 8 p.m.
Birmingham Hadassah Tzedakah Luncheon. Shelly Goldstein, entertainer. Temple Beth-El. 12:30 p.m. Minimum $125. North Louisiana Jewish Federation, Monroe Campaign Brunch. 11 a.m. Location TBA. Program on Identity Theft. Ahavas Chesed, Mobile. 10 a.m.